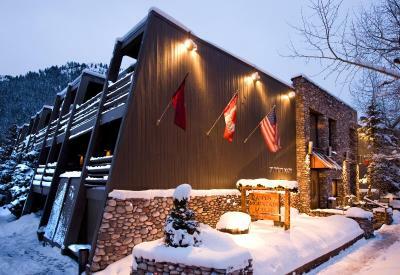 Lock in a great price for Aspen Mountain Lodge – rated 8.4 by recent guests! Nice place. 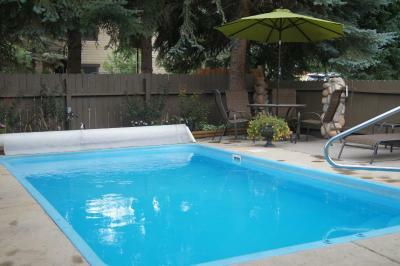 Awesome location short walking distance to all the restaurants, stores, etc. They have free breakfast and snacks on the afternoon (wine & cheese, guacamole). Nice common areas to chill. 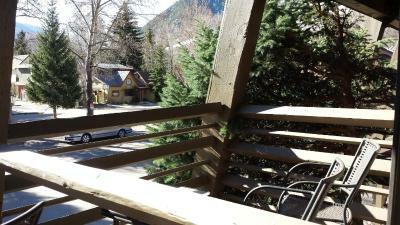 Friendly staff, good location, neat facility, spacious rooms..
Great location in and out of Aspen. Great breakfast. Convenience - great short walk to restaurants and shopping. The beds weren’t hard like normal hotel beds. They were actually comfortable. The room was spacious, had a nice balcony and was nice to have a mini fridge and couch! The staff was very nice. The breakfast was a great addition! Friendly staff...they love dogs here! Fantastic hot tub! 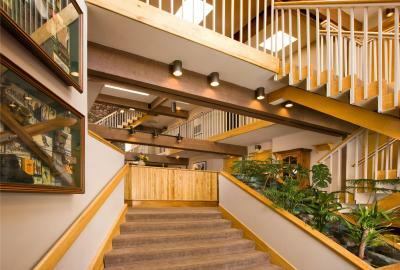 Aspen Mountain Lodge This rating is a reflection of how the property compares to the industry standard when it comes to price, facilities and services available. It's based on a self-evaluation by the property. Use this rating to help choose your stay! Offering a year-round outdoor pool and a hot tub, this hotel is a 15-minute walk from Aspen Mountain. Free Wi-Fi access is available. Storage for ski equipment is provided. 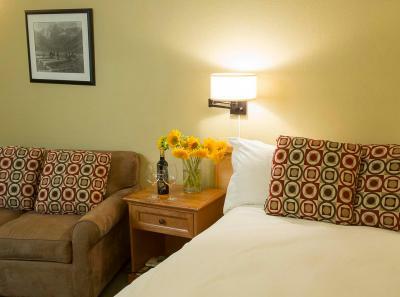 Each room has a work desk, a flat-screen cable TV and a small refrigerator at Aspen Mountain Lodge. 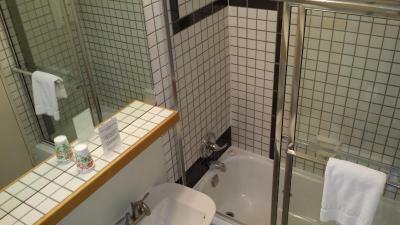 A private bathroom with a hairdryer is also included. Select rooms feature a balcony. 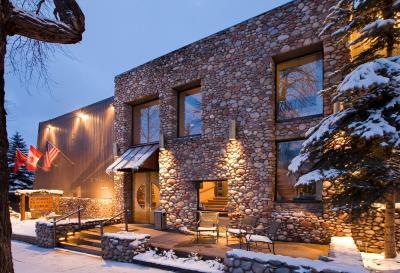 Guests can take advantage of a business center and concierge services at Aspen Mountain Lodge. Other facilities include a shared lounge and luggage storage. The property provides free parking. 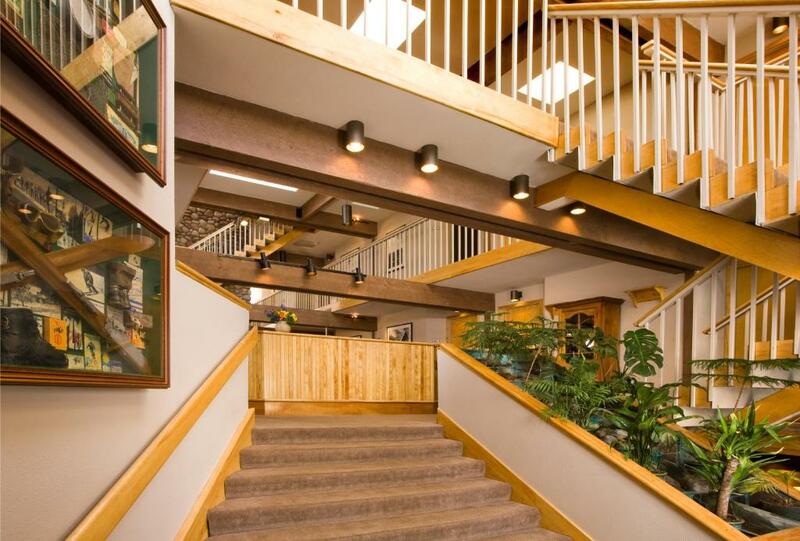 Aspen-Pitkin County Airport is 3 miles from the hotel. Buttermilk Mountain Ski is 2 miles from Aspen Mountain Lodge. When would you like to stay at Aspen Mountain Lodge? House Rules Aspen Mountain Lodge takes special requests – add in the next step! 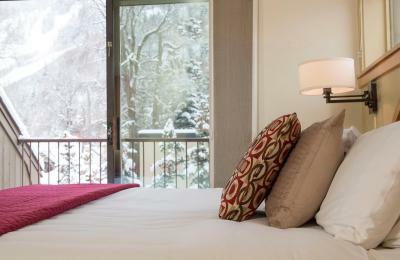 Aspen Mountain Lodge accepts these cards and reserves the right to temporarily hold an amount prior to arrival. The staff were amazing. Spa was extra hot. You can hear people walking above you . The rooms and ceilings are very thin. Not enough parking, had to park a block away. Rooms are dated, AC was blocked behind a wall. Front desk were not knowledgeable of the restaurants close to their location. Could not fault this hotel. We booked 2 nights then Booked in for a 3rd night. Have been coming to the US for over 30 years And l rate this hotel as one of the best. Everything was great. And the staff were more than helpful 5 Star. I wish the hot tub and pool was more inviting instead of a tiny fenced in spot in the parking lot. Comfortable bed. Bathroom needs updating. I didn't have the breakfast. Great location. I was attending Aspen Ideas Festival and it was perfect for that. 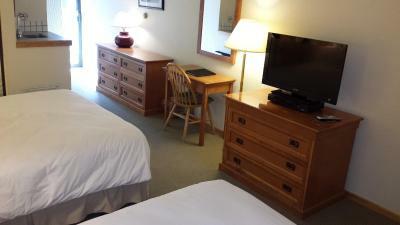 The front desk were very helpful to all the guests.Great location to downtown, I would stay here again for sure. Aspen is not cheap, it was great to just park the Jeep and walk to my show at Belly Up Aspen, and got a great meal thanks to the helpful desk referral!! Windows need a thorough cleaning. Room is poorly soundproofed, especially from above you can hear every step. Pool and whirpool have to be cleaned. Our A/C wasn't properly cooling the room and we requested it be looked at. That never happened. It was an uncomfortable 2 night stay. Breakfast is 7:30-9:30 and God forbid you ask when coffee might be available. It was chastised for asking that question. And, I had to take my wife to the doctor one morning and we arrived back at the lodge as the breakfast (bagels, etc) had just been put away. Because she needed to eat something with her antibiotics we asked for a bagel. The grumpy guy reminded me that breakfast was over at 9:30.....but the new lady helped us out. When I say him at the front desk on my way back to the room with the bagel, I apologized for inconveniencing him and told him the story of having to take my wife to the doctor. He grumpily complained that I had also asked for coffee before 7:30. Oh, the horror. I told him I had got up early and left my wife in the room to rest because she was sick. He said, "You lied. You said she was sleeping." (Yes, I did.) I have never had a hotel staff call me a liar before. It really irked me and I was ready to cancel night number two and immediately leave. However, my wife was sick in bed. If it weren't for that I would have left. I could tell you more, but needless to say, We won't go back. (At least they provided a $$ concession to recompense for the rudeness of mr. grumpy). The location was within walking distance to local shops and restaurants.